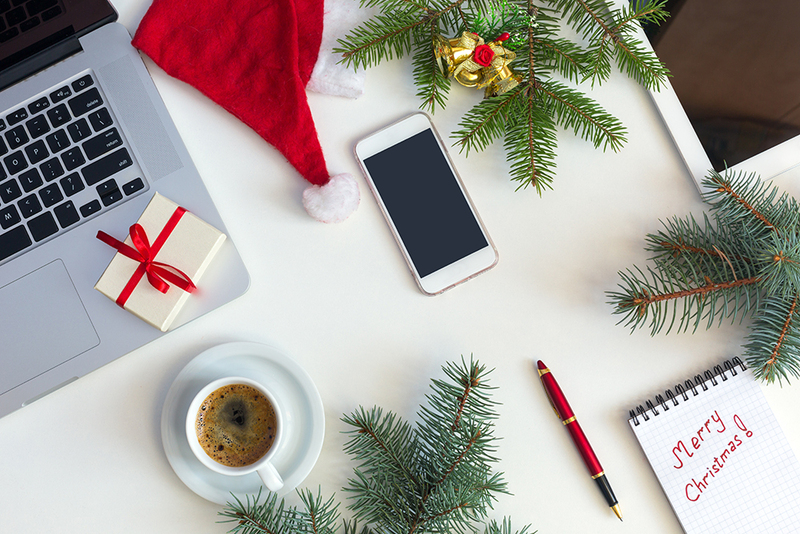 The holidays are upon us and although it’s an extremely busy period for RTOs, there’s always time to relax and enjoy the time spent with your friends and family. We’re ending the year on a lighthearted note with a fun (and delicious) Christmas dessert recipe and some dates so you know when our teams will be back, early in the New Year. VETtrak Support: Midday December 22, 2017 – January 2, 2018. Solutions & Education Team: Midday December 22, 2017 – January 8, 2018. (Except for RTOs with pre-booked training). Sales & Accounts: Midday December 22, 2017 – January 8, 2018. There will be a major software update released early January. Release notes and information on how to update your VETtrak system will be emailed once update is available. VETtrak Support will be available at this time to assist you if any questions arise. Finely chop half the mixed fruit. Place in a large bowl. Add the brown sugar, almond, apple, butter, brandy, lemon rind, lemon juice, cinnamon, mixed spice, nutmeg and the remaining mixed fruit. Stir until well combined. Cover with plastic wrap and set aside overnight, stirring occasionally, to macerate. Transfer the fruit mixture to a fine sieve over a bowl and stir to remove excess liquid. To make the pastry, place the flour, sugar and butter in the bowl of a food processor and process until mixture resembles fine breadcrumbs. Add the egg yolk and water, and process until the mixture just starts to come together (see tip 1). Turn onto a clean work surface. Shape into a disc. Cover with plastic wrap. Place in the fridge for 20 minutes to rest. Preheat oven to 180C. Roll out the pastry on a lightly floured surface until 5mm thick. Use an 8.5cm-diameter round pastry cutter to cut 20 discs from the pastry. Use a 5cm-diameter star-shaped pastry cutter to cut 20 stars from the remaining pastry. 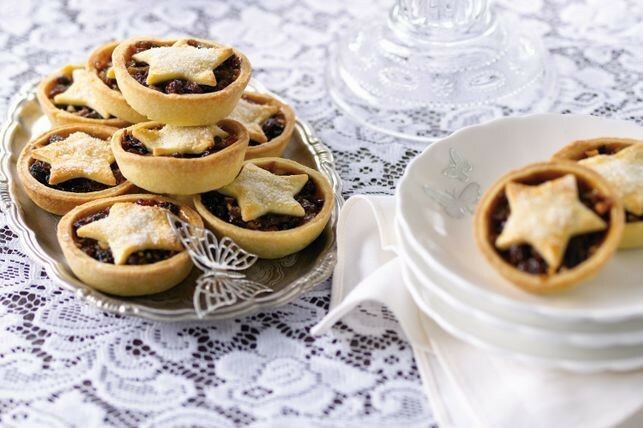 Line twenty 80ml (1/3-cup) capacity muffin pans with pastry discs (see tip 2).Divide the fruit mince among the pastry cases. Top with pastry stars. Brush the stars lightly with the egg and sprinkle with white sugar. Bake for 20-25 minutes or until light golden. Set aside in the pans for 5 minutes to cool before transferring to a wire rack to cool completely.